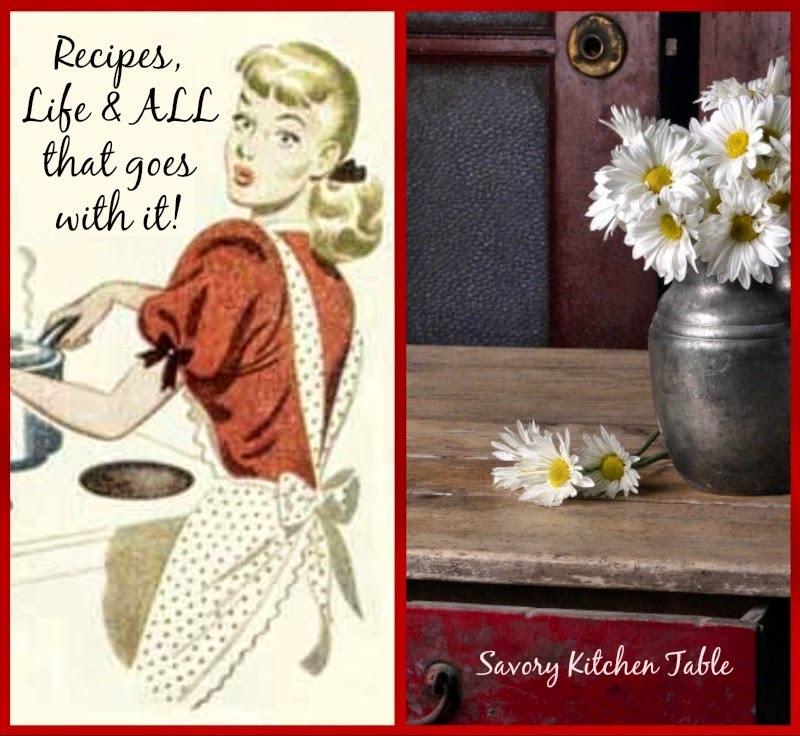 Savory Kitchen Table: THE DIFFERENCE BETWEEN ANTI VIRUS & INTERNET PROTECTION aka drink your OJ or take antibiotics & HOW FACEBOOK COST ME OVER $200 & DECADENT CHOCOLATE BROWNIES to make it all better! THE DIFFERENCE BETWEEN ANTI VIRUS & INTERNET PROTECTION aka drink your OJ or take antibiotics & HOW FACEBOOK COST ME OVER $200 & DECADENT CHOCOLATE BROWNIES to make it all better! **He told me, "You have a virus. Looks like it's from a gaming site." I said, "I don't visit gaming sites." He asked, "Do you use facebook?." I said, "Well sure, doesn't everybody?" He said, "Probably, but do you play their games, or watch you tubes?" I said, "A few when I'm on hold or late at night watching TV. He said, "That'll do it." I said, "But isn't facebook safe?" He said, "For the most part, but the games and videos are separate entities, not always related to facebook,"
I said, "Why didn't my virus scan catch it?" He said, "You should also be running internet security." I said, "I thought I was." "In fact I am." He said, "Yeah I see that now, top of the line too. In that case I don't know why it didn't catch it." I asked, "How long will it take?" He said, "Somewhere between 2-24 hours. It'll be ready tomorrow afternoon"
They promised to call and let me know when it would be ready on Wednesday morning. Late Wednesday afternoon, I called them. I was told the guy from the previous day didn't understand the "scope" of the problem and it would be a few more hours, but she'd call me and let me know when I could pick it up. Wednesday night came and went. Thursday morning came and went. I was trying to be patient! But by Thursday evening my patience was worn thin and I showed up at their counter. Now the guy I spoke with on Thursday evening was very sincere, nice and honest. He also called me several hours later to keep me informed, but I still went home without my computer because it had several more hours to go. My big problem is with the **guy who came out while we were talking, who listened to everything that I was saying and never once offered up that he was the guy I spoke with on the phone on Tuesday that set all the errors in motion, henceforth now known as the "problem child with no integrity". I also have a problem with the girl whose defense was that she emailed me the progress. HELLO?? anyone home in there? How did she expect me to check that email? And why do they ask for a primary number to contact you at if they have no intention of using it? Face Book, games especially! So be careful all you farmville fans! Antivirus software detects and cleans out virus infected files while Internet Security is a suite of applications that aims to protect users against threats from the internet while visitng internet sites. Internet Security suites usually include an antivirus application among their other programs. Internet security suites commonly includes a firewall, anti malware, anti spyware, and email protection programs. Internet Security suites often cost more than stand-alone antivirus applications. So spend the money, it will be well spent! Read more details here TREND MICRO. Or for the simple analogy: anti-virus is an antibiotic after you get the disease whereas Internet security is the multiple healthy steps to prevent the disease to begin with. And for those of you who are thinking what about using a MAC. I also looked into MAC cuz everyone keeps telling me they don't get viruses which is a misnomer from what I read. They should just add a big YET onto the end of that sentence. The virus programmers just haven't become proficient yet in writing for MAC. There are MAC viruses out there. Melt 2 tablespoons butter in microwave safe ramekin for 30 seconds. Add the bittersweet & semi-sweet chocolate and microwave in 30 second increments until you can stir it smooth. Set aside to cool slightly. Mix together the egg and sugar and beat on high with a hand mixer until slightly thick and turns a dull yellow. Lower speed and add chocolate mixture to egg mixture. By hand stir in the flour mixture until consistent in color. Spoon into ramekins and bake on cookie sheet for 25 minutes or until centers are set. Just after you put these in, prepare the topping. Melt the other tablespoon of butter and then add the German sweet chocolate and melt until you can stir smooth. Just after the brownies come out of the oven, pour the topping over. 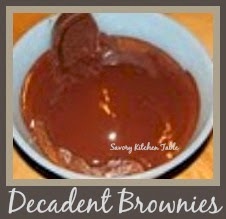 WARNING: THESE ARE RICH & DECADENT!